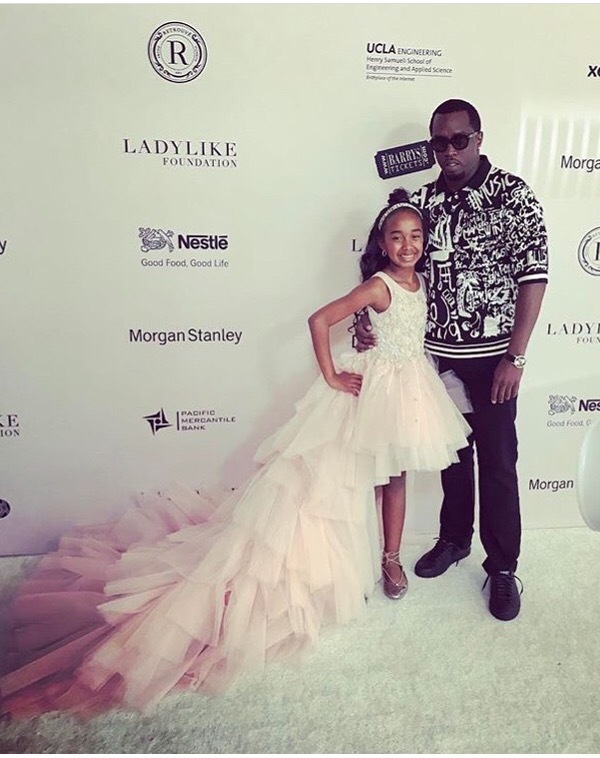 Diddy spoke some words of encouragement for the Lady Like Foundation, with his daughter Chance by his side. 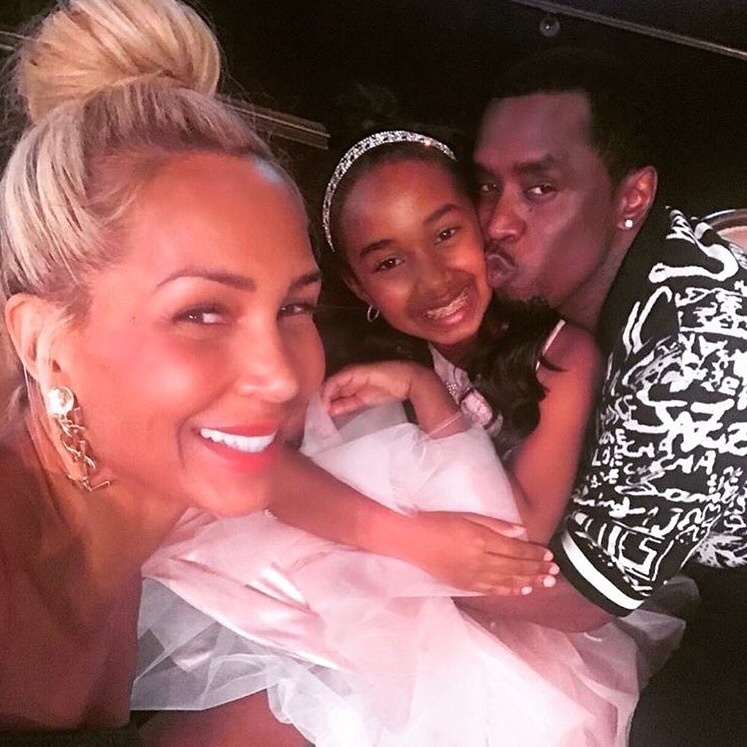 “Family time, with my two favorite people, momm, and daddy”. 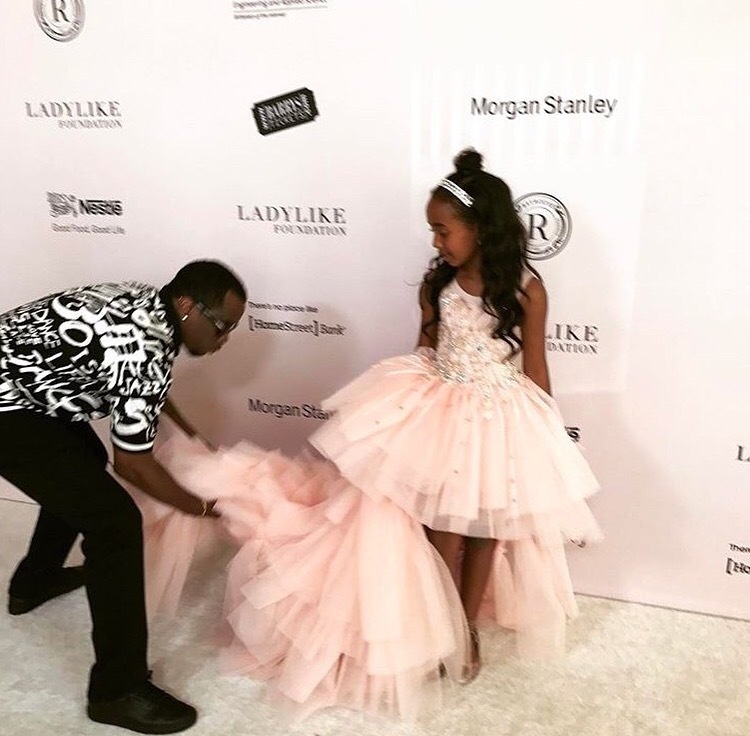 Diddy fixes his daughter dress, as she poses for pictures.